Barcelona are on course for a successful season this year, but that hasn’t stopped them from making big plans in the January transfer window it seems. 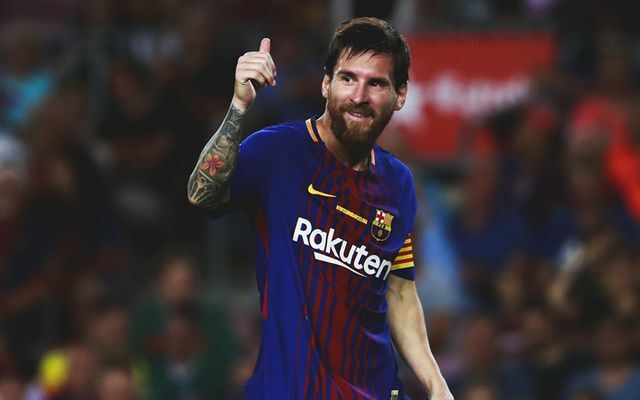 After their El Clasico joy last week, the Catalan giants are nine points clear at the top of the La Liga table, while they made it safely through to the knockout stage of the Champions League and remain in the hunt for domestic cup glory too. In turn, changes in January aren’t exactly needed, and it could even be argued that they may upset the balance created by Ernesto Valverde through the first half of the campaign. However, that doesn’t seem like it will be the case, as Marca report, as re-reported by The Express, on how transfer activity is likely to be high at the Nou Camp next month. It’s reported that Philippe Coutinho and Mesut Ozil are at the top of the transfer shortlist, but given we’ve been talking about the Brazilian moving to Barca since the summer, there are rightly reservations and doubts over him moving to Spain midway through the campaign, especially given he’s been in superb form this season for Liverpool. In turn, Nabil Fekir, Max Meyer, Leon Goretzka and Aleksandr Golovin are all specifically mentioned as possible alternatives, with Arthur and Antoine Griezmann targeted for the summer. That would surely make more sense as with Ozil on an expiring contract, that would give Barcelona additional resources to spend on others to build the squad and add more quality and depth. With BBC Sport reporting how their bids for Coutinho went up to £114m in the summer, that would be a significant portion of their budget gone. Meanwhile, Marca also note that Arda Turan, Aleix Vidal, Gerard Deulofeu and Javier Mascherano will find themselves heading out of the exit door at the Nou Camp, and there’s surely little argument against them leaving. All four have struggled to establish themselves in the team this year through injury woes, competition for places and desire to leave, and so by moving them on, creating space in the squad and a potential boost for the transfer funds, it all seems to be falling into place to create a much better squad. However, it’s easier said than done.